When I was little I had a pen friend called Kelly, back in the day when people had pen friends and Twitter friends were not a thing, and my pen friend was super into horses. I never was, despite the fact I used to carry a tiny plastic horse around with me for a long time ( I still have it somewhere actually). But I was never would you would call a ‘horsey person’. They were big, big animals and I was scared of all animals at this stage in my life, big or small, I didn’t discriminate. In every letter Kelly sent, there would always be some reference to horses and about what she’d learnt recently at her horse riding school. Horses were her life. So when I met up with her for the first time it was at the riding school I had heard so much about. I was absolutely bricking it the whole time I was there, these massive animals that could attack at any moment was far too much for my overactive imagination, so I stood well back and away from them for the whole visit. I left there thrilled to be leaving but sad that I wasn’t able to pluck up the courage to even stroke one. It’s something I’ve always regretted and, what with the pen-friendship long gone, there’s been no opportunity for me to try again. So of course horse riding had to go on the Bucket List. That’s the one thing about Bucket Lists, you can stick whatever the hell you want on it, doesn’t always mean you’ll get around to actually doing it. And that’s probably what I thought for this one, I’ll put it up there but I probably won’t actually ever do it. 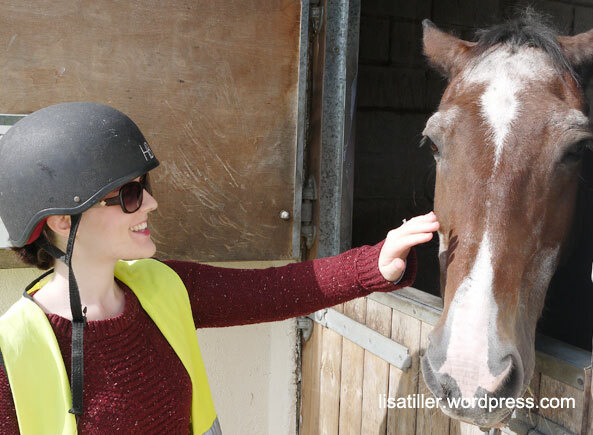 Then, for my birthday back in March, one of my friends went and bought me an hour’s horse riding experience! I was both thrilled and scared all at the same time. For months I kept putting off booking it with a ‘Oh yes, I must get around to booking that’ and then actively not booking it, it not feeling like the ‘right time’. I had loads of time to mentally prepare myself. I needed to get some chelsea boots for the session, but that’s a fun thing to have to look for, and since I’ve always wanted some anyway, it made the perfect excuse to finally buy some. This turned out to be a lot trickier than I thought and couldn’t actually find any until the week before when chelsea boots started appearing back into the shops (not much call for boots in the summer, I guess). Marks and Spencers came to my rescue with a pair that I liked and weren’t horrendously priced either. 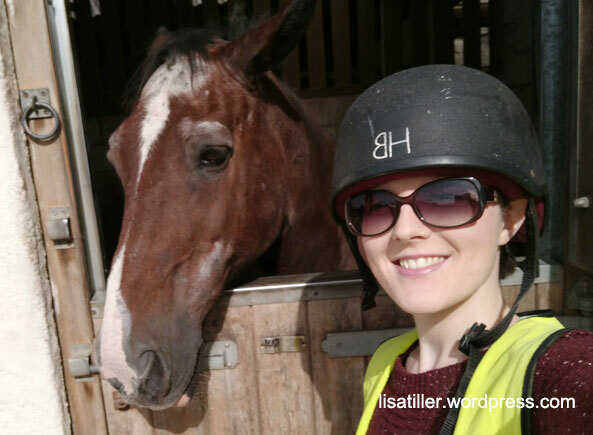 I’d picked a Monday for my riding experience as I reckoned it would be a bit quieter, and when I booked it I had the choice of having a proper hour’s lesson to learn the basics, or to have a nice led-trek through the forest. The forest won, I knew I wasn’t going to take it up properly so having some lovely scenery while I was on a horse was perfect. The morning of, I did everything to try and calm myself. I didn’t want the horse to know I was scared after all. Never show fear to an animal. I yoga’d, I meditated, meditated some more in the car on the way, and by the time I got there I felt excited rather than nervous. 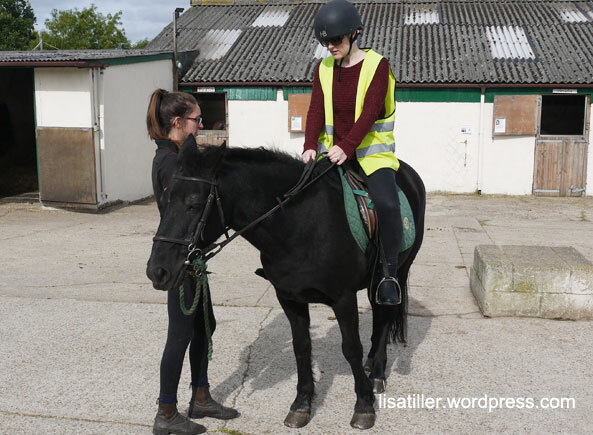 I read through all the warnings and waivers of how I couldn’t hold the company responsible if anything happened to me whilst I was on the horse, any falls or crashes would be my own responsibility. This didn’t fill me with confidence but I signed it anyway, I was there and wasn’t going to turn back now. Once I’d signed my life away, I was able to look around the stables while they got my horse ready. This helped to calm me further. I even felt confident enough to stroke a few of them! 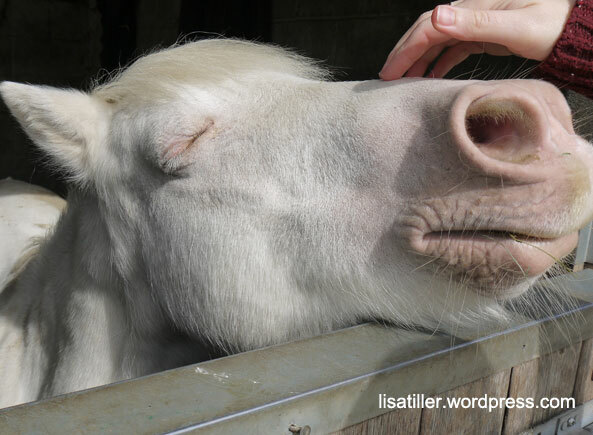 The horses were all so gentle and most just wanted a bit of attention, I knew I was going to be alright. Next I had to get fitted with a hat. Who knew it would be so difficult to find a hat that fitted? I felt like Golidlocks, ‘this one’s too small’, ‘this one’s too big’, eventually leading to the crowning ‘this one’s just right’ moment. It was on with a high-vis jacket too and out to wait for the beast. When they brought my horse around (I was the only one going on this trek – just what I’d hoped for!) I was glad to see they hadn’t given me a giant of a horse, in fact he was fairly small. His name was Toby and I got to say hello to him before I had to jump on his back. He was calm and collected and I swear we had an instant bond, I knew I could trust him with my actual life that he would soon have resting on his hooves. I had to go over to these blocks to make it easier for me to mount him (check me out knowing all the jargon), left foot in the stirrup and swing my right leg over and down into the other stirrup. 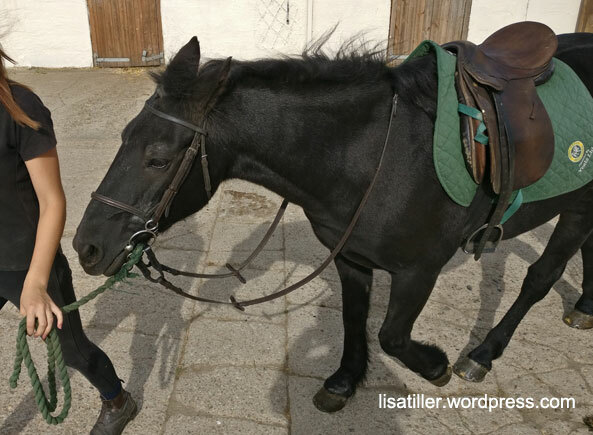 Then they adjusted the straps to suit me, told me to hold the reins and before I knew it we were off. 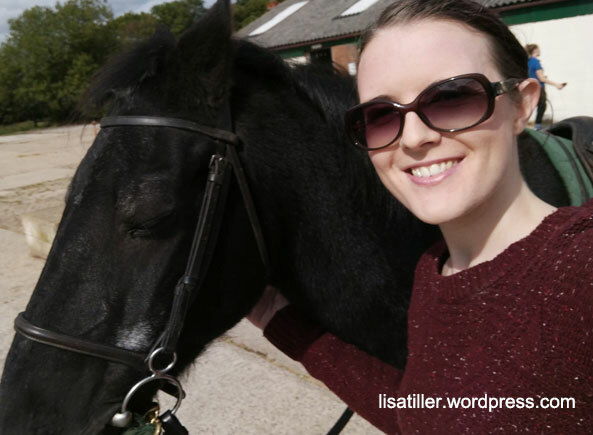 It didn’t take too long to get used to his jolting movements and quite quickly I eased into it and was instinctively moving up and down, backwards and forwards leaning whichever way would help Toby to get up and down the hills. The young woman who led me along was lovely too, great conversationalist but sometimes I wanted a bit of peace so I could enjoy the quiet of the forest and take in the experience. When I realised that wasn’t going to happen, I just went with it. We rode over fields, through woodland, up and down hills and roads, all over, and talking all the way. I was thoroughly enjoying the whole thing and felt like a cowboy tipping my hat at the passers by, ‘Ma’am’. But then we went past a shop window and I caught my reflection…rather than a cowboy, what with my WWI army tin shaped hat and my high-vis jacket on, I looked more like a builder heading off to war! And all feeling of looking awesome on this horse vanished without a trace. It was a nice slow trot for the most part, but Toby picked up the pace on the way back when we were going down a steep road. I was leaning back helping to take some of the weight off his front legs when he lost his footing and slipped. I was thrown forward and in that split second (I had a sudden flashback of the time I got propelled over a see-saw in a children’s park) prepared myself for the worst. But thankfully Toby managed to save himself and me while he was at it. He kept on going while I felt sure I had just left one of my nine lives back further up the road. 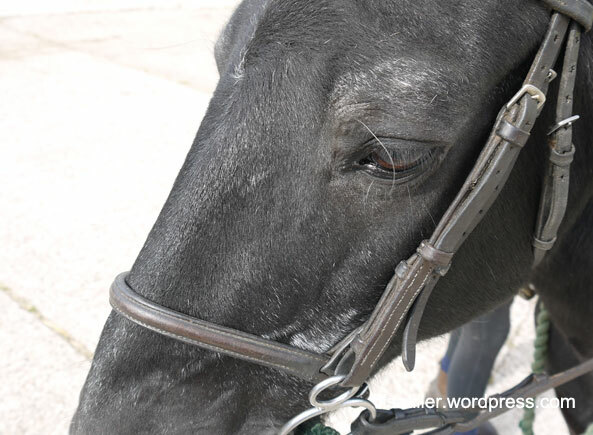 All I knew was that I was griping those reins tighter the rest of the way back. Dan hadn’t joined us on the adventure through the woods (he had the option to but he didn’t want to), and just before I got back, went up the road to find me so he could take a couple of photos of me now ‘more confident’ (little did he know) on the horse. The only problem was he had a 50/50 choice of which way to go out of the road, left or right, and, of course, chose the wrong way. After a while of waiting, he went back to the riding school to find I was already there and waiting for him and dismounted from Toby. Shame. Luckily I got one selfie with my horse friend before he was taken away again. 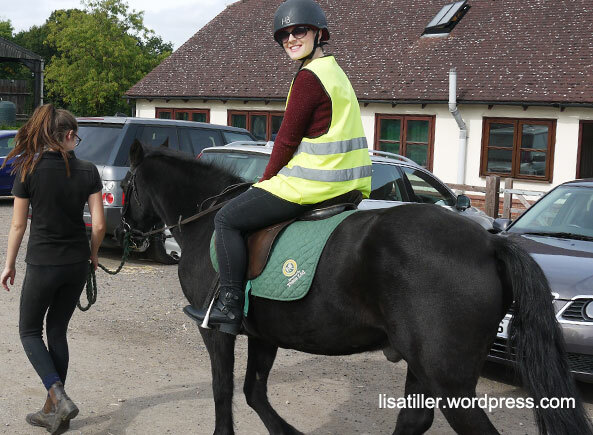 I’m so glad I finally got to try horse riding. I loved every moment of it (even the scary part) and I’m so grateful to my friend who bought it for me (she’s actually starting up her own blog 1st Child Honesty all about her experience of first time pregnancy). It’s one more thing crossed off my Bucket List, but I’m sure it won’t be the last time I ride a horse now I know how fun it is. I may still have a slight bruised feeling to my bum four days later, but I’d do it all again for sure.